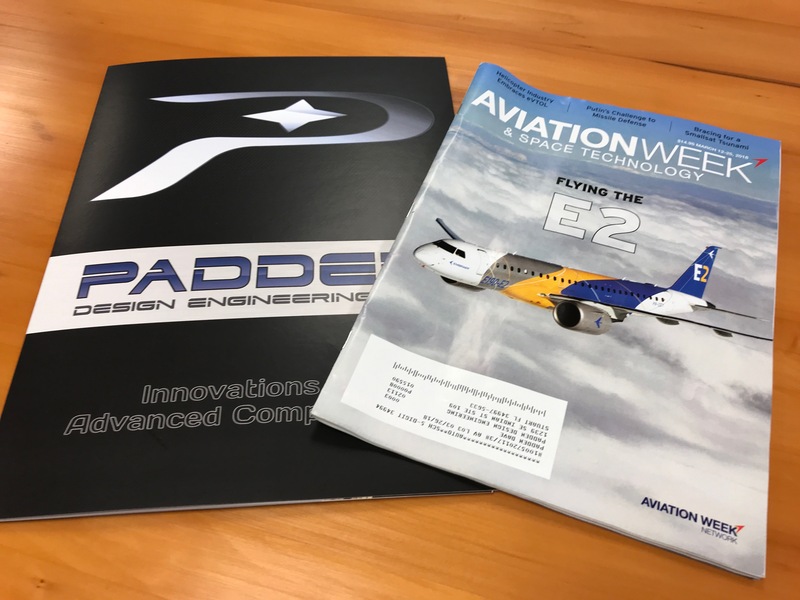 The Embraer E190-E2 passenger commercial jet is featured on the cover of the most recent issue of Aviation Week & Space Technology magazine. The article entitled Improving the Breed, is an in-depth review of the E190-E2’s flight testing and performance. This new member of the E-Jet family of passenger commercial jets recently received certification on schedule from all three major worldwide authorities simultaneously. Powered by Pratt & Whitney PW1900G ultra-high bypass ratio engines, the aircraft achieves significant improvements in fuel burn, noise, flight control, and maintenance intervals over the previous variants. For more information on Padden Design Engineering’s role in supporting the development of the program, see this article from June 2015.